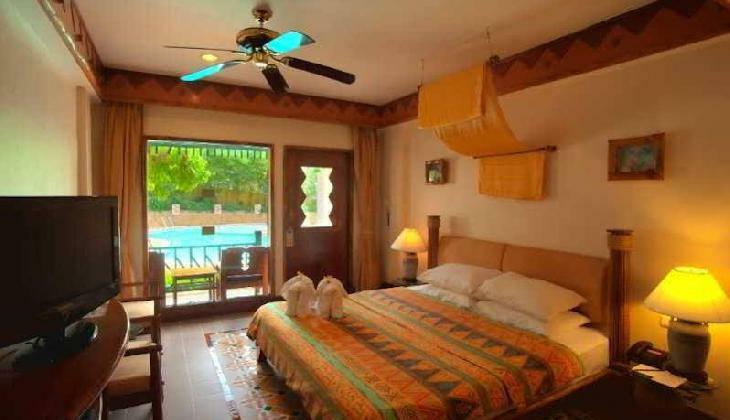 Chaba Cabana Beach Resort را به صورت آنلاین رزرو کنید! جهت اقامت در ساحل چاونگ از تاریخ چهارشنبه ۱۱ اردیبهشت ۱۳۹۸ به مدت 1 شب، 70 هتل یافت شد. 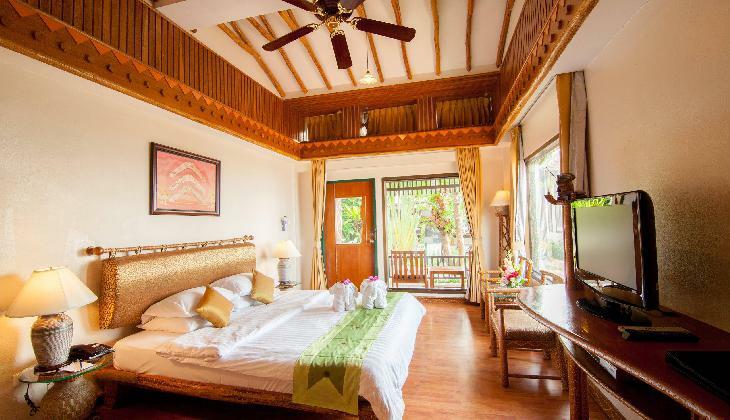 * All guestrooms in the Chaba Cabana Resort and Spa are housed in a four-storey L-shaped building (no elevator), and an additional 10 cottage-style guestrooms are on the ground floor. Rooms can be accessed via open-air pathways and corridors. 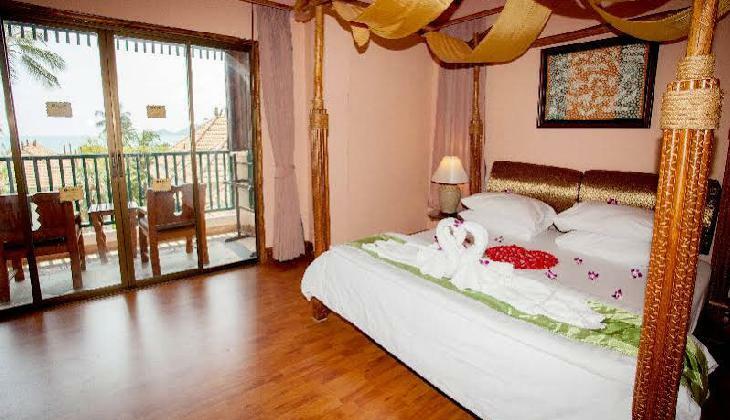 * The cottage-style guestrooms have a more neutral colour palette of beige and white with light wood furnishings. Full-length windows provide plenty of light, and conveniences include coffee/tea makers, in-house movies, air conditioning, and ceiling fans. Satellite TV includes premium channels such as HBO, CNN, and ESPN, as well as programs in French, German, Italian, and Spanish. Balconies and patios are furnished with tables and chairs. Bathrooms have shower/bathtub combinations or showers only. * A buffet breakfast is provided each morning. Colourful Mediterranean décor. High ceiling with wooden beams and ceiling fans. Open-air terrace with views of the ocean. Menu includes Thai curries, seafood, and International cuisine. Buffet breakfast and à la carte menu. Themed buffet nights during high season. Open from morning till midnight. Serves tropical drinks and light fare. Located next to the beachfront pool. High ceiling with wooden beams and wooden decks. Open-air terrace. Happy hour with one for one drinks from 5–6 PM. Open from morning till late. * The Chaba Cabana Resort and Spa has two freeform pools; palm trees and a pool bar surround the main pool located on the beachfront, while the garden pool is next to the guestroom building. Chaweng Beach offers calm swimming conditions all year round, and the resort provides complimentary kayaks and canoes. Sunbathing is a popular pastime, and for children there is a wading pool and playground. In addition, guests can try the Thai cooking lessons. * Nestled in a tropical garden, the Heavena Spa incorporates traditional Thai and Western techniques into massage therapies and body treatments. The spa consists of two single and three double open-air terraced rooms and features an outdoor shower and spa tub. The spa also includes a beauty salon. Welcome to Chaba Cabana Beach Resort & Spa; welcome to a land of seafood, sun, joy and dreams with smiling faces and easy graces. The friendly staff is waiting to serve your on your dream vacation. The unique Aboriginal decor throughout the hotel features motifs from native world cultures such as the Incas, American Indians and Australian Aborigines. Chaba Cabana Beach Resort & Spa is located on the peaceful, less developed northern stretch of Chaweng Beach , yet still just a few minutes walk to many shops & restaurants. The coconut island of Samui in Thailand is calling your name. So come in where the water's warm, and see what holiday dreams are made of. 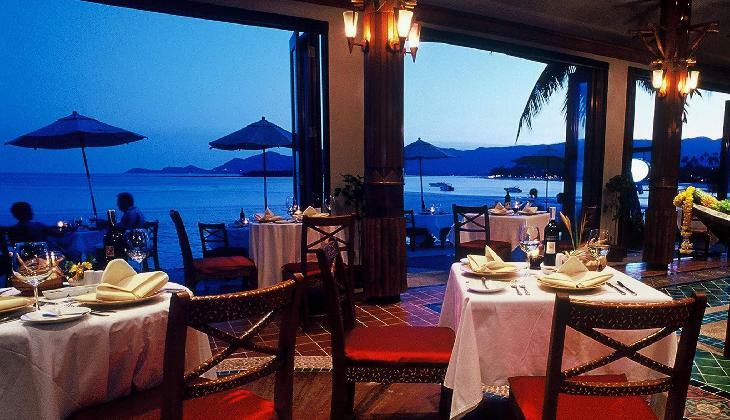 A short stroll from Chaba Cabana Resort & Spa leads to an exciting choice of shopping, wining and dinning options.